In other words, he plans to buy a used Chevy Volt in five years because that POS isn’t going to make it. 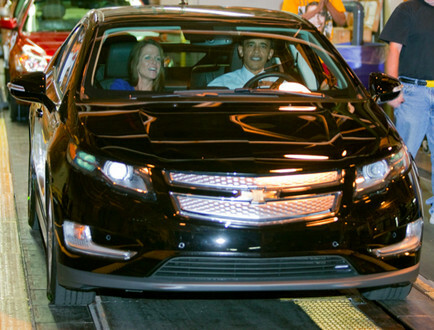 President Obama, speaking to a raucous crowd of United Auto Workers, vowed to buy a Chevrolet Volt electric car in “five years” — just as soon as his presidency is over. The Volt is a plug-in hybrid electric car first demoed by Chevy in 2007. Previous post NY Newspaper Describes Breitbart as "Anti-Black"